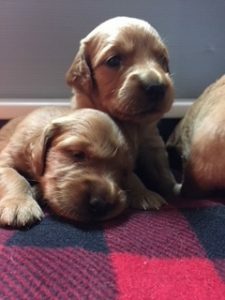 SOLD OUT - All Stonehearth Kennel’s puppies come with Health Warranty for hips, elbows, eyes, and heart. 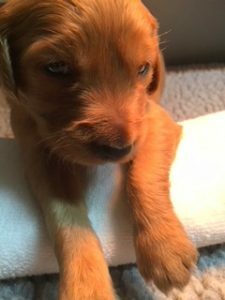 Puppies are vet checked after birth and again before going home to new families. 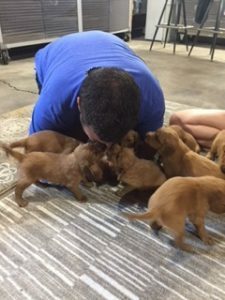 They come with their first set of puppy vaccines. Dam is Gabrielle of Stonehearth. Sire is Greenmeadows Ikes Golden Ticket. 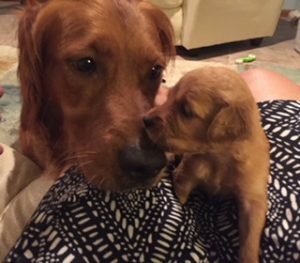 GABBY AND IKE GOLDEN RETRIEVER PUPPIES BORN ON JUNE 23, 2018. SOLD OUT! 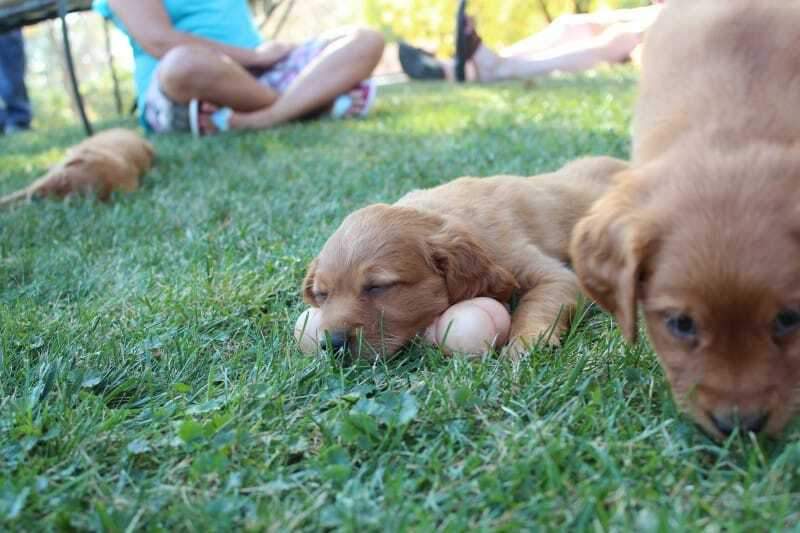 Our Guarantee Separates Us From Other Breeders. Just complete and submit the form below to sign up to our waiting list. You can also call us at 608-769-7421 if you prefer. 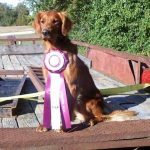 Stonehearth Kennels is a professional breeder that pays special attention to the blood line and we take pride in our dogs and in our breeding practices. 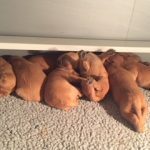 All puppies remain with the mother at our home until they are old enough to go to other homes. For all dogs sold by or whelped at Stonehearth Kennels, LLP, W7337 Ct. Rd. ZN, Onalaska, WI 54650 or W8197 Ct Rd ZB, Onalaska, Wisconsin, 54650. The dog must be owned by the original owner who bought the dog from us. The dog must not have been spayed or neutered. The dog must be no older than 30 months of age at the time of x-ray. The dog must have the name “Stonehearth” in its A.K.C. registered name. Submit the x-ray to the Orthopaedic Foundation for animals (OFA) for their judgment. The OFA will accept x-rays of animals six (6) months or older for evaluation. 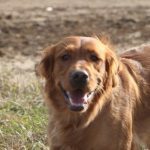 However, only dogs twenty-four (24) months or older with normal hips will be given certification numbers. You are responsible for all x-rays fees and vet fees. Have the OFA notify us of their evaluation. You must have the dog neutered or spayed by your veterinarian and have the veterinarian send us a letter stating he has done this. Dog’s A.K.C. Registration Papers must be returned to Stonehearth Kennels, LLP. If dog is put to sleep, a death certificate from Veterinarian is required along with A.K.C. registration papers. You are responsible for the veterinarian fees. 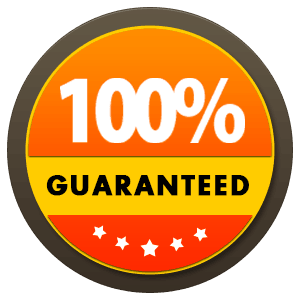 If any dog covered by this guarantee is found to be dysplastic, the entire purchase price may be applied to a puppy of a similar breeding from our kennels at a later date. Stonehearth Kennels, LLP will not require the original dog to be put down or given back. This dog is now a member of your family and shall remain there. 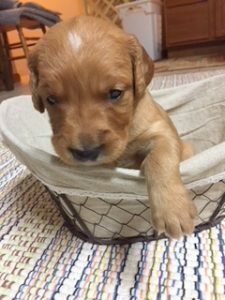 Shipping costs for replacement pups will be your responsibility, and not the responsibility of Stonehearth Kennels, LLP. 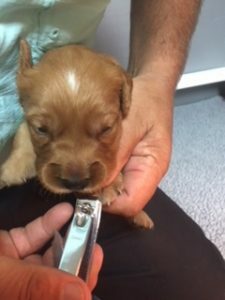 To ensure the best possible environment for your dog’s eye development, you must be especially careful of any items or other animals that could damage your dog’s eye. Damage to your dog’s eyes, if inflicted by accident or otherwise, can prevent your dog from a CERF clear status. Eye evaluation must be performed by an American College of Veterinary Ophthalmologists certified Veterinarian. (AVCO) CERF will be the sole judge and authority. Eyes must be rejected by CERF before 12 months of age. You must contact us within 14 days of your finding and send a copy of the findings to us within 10 days of contacting us. 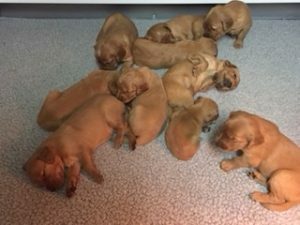 Breeder will not be held responsible or any or all vet bills. Your puppy is guaranteed to be free from heart issues. 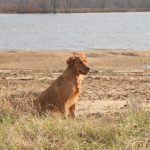 Within 14 days of picking up the puppy from Stonehearth Kennels, you must have a veterinarian check your dog for basic health and heart issues. 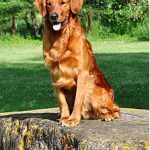 The veterinarian or cardiologist must state in writing that the defect is definitely of a hereditary nature and not caused by injury or illness and that it is fatal. If at that time or within one year of purchase date, your dog is diagnosed with a fatal heart disorder, notify us within 14 days. 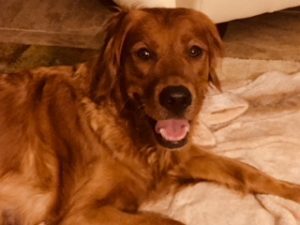 If any dog covered by this Heart Guarantee is found to have a fatal heart disorder, the entire purchase price may be applied to a puppy of a similar breeding from our kennels at a later date. Stonehearth Kennels, LLP will not require the original dog to be put down or given back. This dog is now a member of your family and shall remain there. Shipping costs for replacement pups will be your responsibility and not the responsibility of Stonehearth Kennels, LLP. Breeder shall not be held responsible for any or all vet bills.